The Grand Daddy of Senior Softball organizations will open the 2018-19 season on Thursday, November 1 at St Petersburg’s North Shore Park. 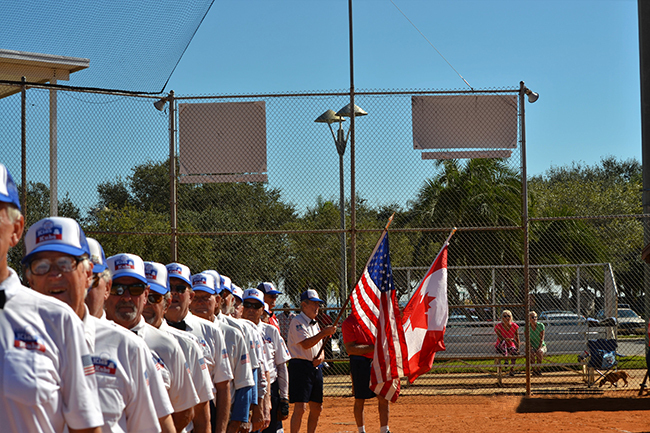 Opening game ceremonies will begin at 9:30 AM with two games immediately following. The club composed of senior softball players 75 years and older has been in existence since 1930.
th season. The Club will mark nine decades of existence in the business of senior softball at the end of the 2018-19 season.. Under the direction of a seven-member board, the four teams within the club call North Shore Park their home with games held every Tuesday, Thursday, and Saturday beginning at 10 AM. Admission is free, and fans of the game are invited to attend. North Shore Park located at 901 North Shore Drive and the ball field is adjacent to the Municipal Pool at the Park. In addition to the regular schedule of games, exhibition games include the annual Mayor’s game in February. Also featured in the exhibition schedule are games against local and out-of-state teams from Indiana and Pennsylvania and the Freedom Spirit women’s team of Clearwater. Tampa Hospital’s Transplant team will again make their annual appearance. In the planning stage is a game involving the St Pete Chamber of Commerce. Returning to the exhibition slate is an intraclub two-game set at Tropicana Field. In addition, Sendthe club will visit Spectrum Field in early April to participate in Clearwater’s 3-Score charity event.